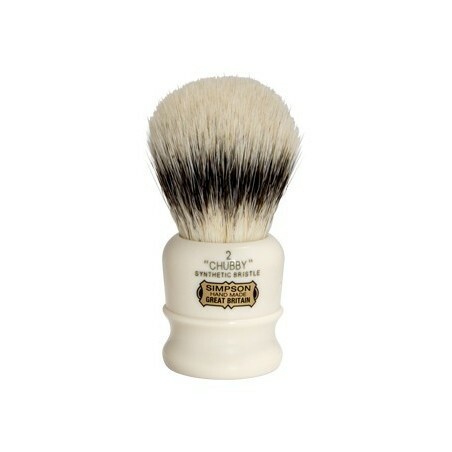 Simpsons Shaving Brush "Chubby 2" Synthetic Badger. 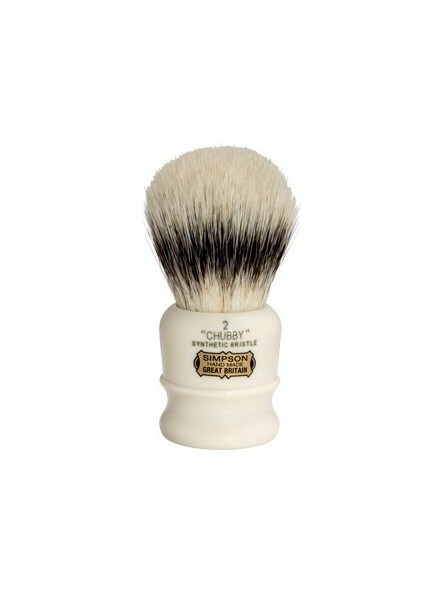 Chubby 2 Simpsons Shaving Brush is made with Simpsons most popular handle, Chubby and Synthetic Badger hair. It's a synthetic hair shaving brush with one of biggest knots available in the market, 27mm. A synthetic hair shaving brush that provides same extremely soft feeling in the skin of silvertip badger hair. Synthetic hair shaving brushes consume lees product as do not absorb water, are more hygienic and easier to clean and dry out.